Home > Tucson Landscaping Blog > All > Book announcement! The Art of Southwest Landscaping is the second in a series on landscaping in the desert regions of the Southwest. It is dedicated to the wide variety of delightful desert accents, cacti, groundcovers, ornamental grasses, palms, shrubs, succulents, trees and vines that can beautify landscapes. 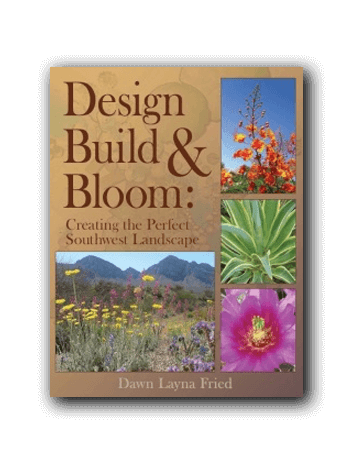 The author, Dawn Layna Fried, has included a broad selection of plant species that she has used on behalf of Horticulture Unlimited and as a landscape designer over the past 30 years. The book contains stunning photographs that accompany each species. Dawn hopes this book will inspire you to create unimaginable gardens in your own backyard! This new treasure is now available for individual purchase or alongside the premier edition “Design, Build and Bloom”. 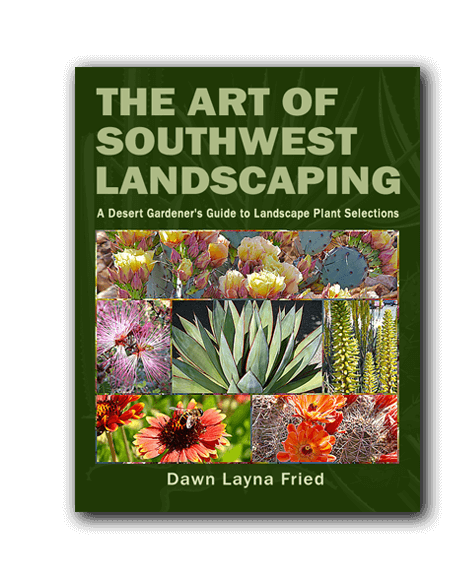 The books include extensive sections on plants and over 200 pages of valuable landscape design and maintenance information to help you plan, build and maintain the perfect southwest landscape. Whether you want to install an irrigation system, harvest rainwater, plant a vegetable garden or add decorative rock to your front yard, this book will provide you with the knowledge to do it successfully. Several Book Signings and Events are scheduled in the near future – Be sure to Check our News & Events (click here) page for more information!